P&B is pleased to announce the launch of a range of new Low Power Passive Current Transformers, compatible with its established Motorvision, MicroMotor and Primacon Protection Relays. The new low power type has a far smaller footprint making it ideally suited to 415V type starters in withdrawable buckets, found in tiered motor control centres. is designed to meet IEC61869-10 and provide a 250mV output at rated In. can be floor or din rail mounted. The LPCT is also intended to replace P&B Hall Effect Sensor (HES) device, which requires a permanent power supply connection the 3-phase sensor to function. 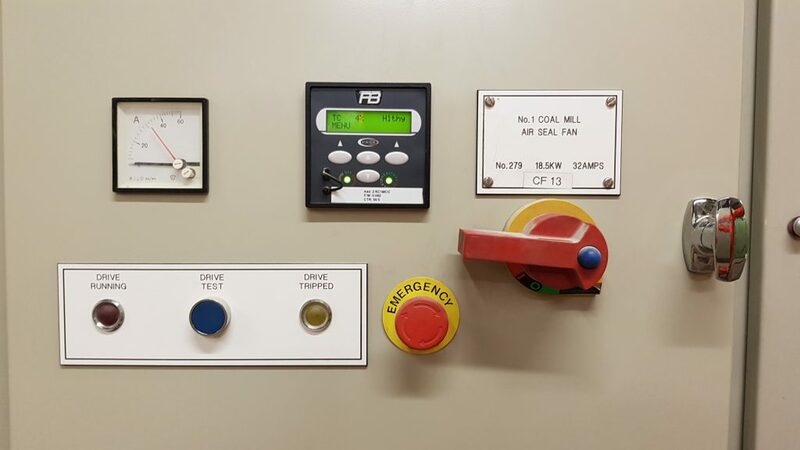 The new CTs were installed for field trials on a retrofitted motor starter at a cement works. This involved removing a MTE IPC Protection Relay and replacing it in the same aperture for a P&B MicroMotor. The circuit is a fan drive therefore involves a high in-rush current and a relatively long run up time. 50A CTs were fitted, the motor has a full load current of 33A but as can be seen from the video a 22A typical loading. Initially the drive was prone to spurious earth fault trips during starting as a result of spill current. It was found the original CTs were only metering class rated and saturated at 1.2x 50A, approximately 2x FLC in this case. Therefore the protection relay was unable to measure full inrush current and overload. As a result the thermal capacity modelling was incorrect and critically the thermal protection was compromised. 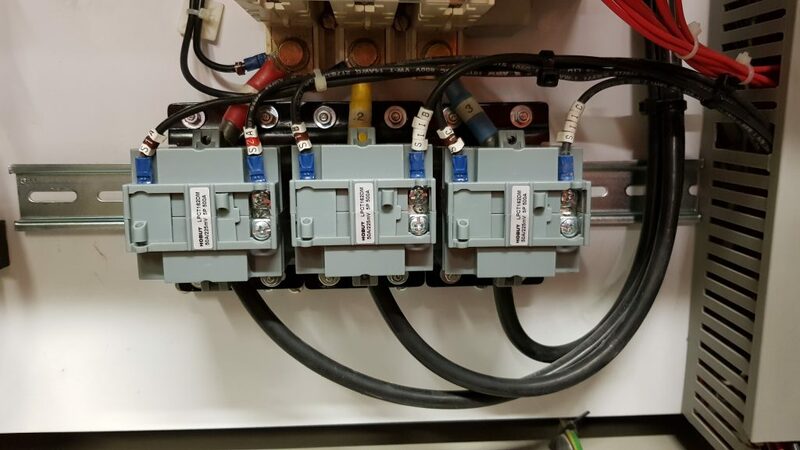 The LPCTs are available with a 50A and 200A primaries with a core balance version available. 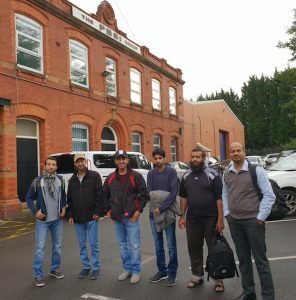 Oct 2018 –P&B were delighted to host a delegation of customers from the Middle East to its headquarters in Manchester this month. 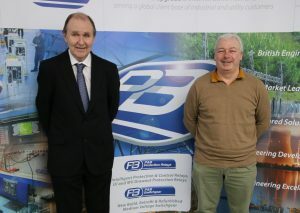 Using P&B’s dedicated customer training suite, the visitors from PDO were given hands-on training on our latest range electrical protection technologies. 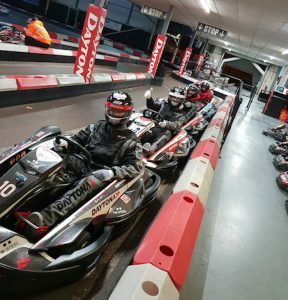 The schedule also included some time for a little extra-curricular activity and the chance for everyone to get competitive at a local indoor race karting track. A great time was had by all!